Last Sunday I had the chance to speak at Oasis. We looked at the story in John of Jesus washing his disciples’ feet and talked about how God has called us to embrace action – to follow him in serving others even when it’s uncomfortable. 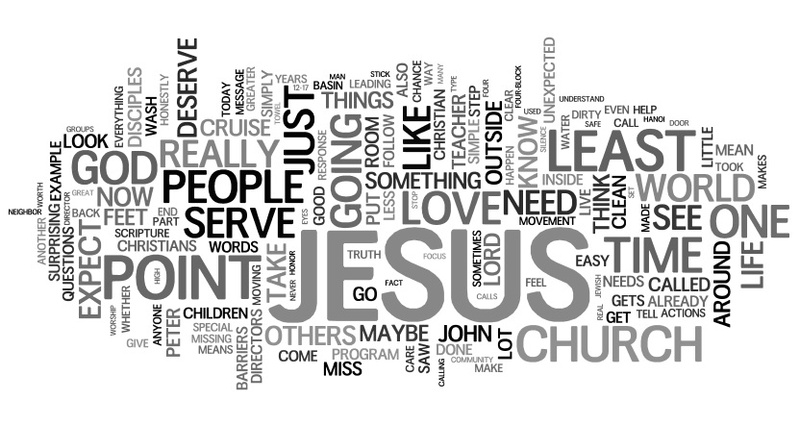 I won’t include the whole thing here, but here’s a great wordle of the talk. Maybe you’ll be able to pull some of the points from it :). Looks like you talked about Jesus. thanks for the tip about “wordle.net” i’ve been having some fun pasting entire research papers in it. Serve even when it’s uncomfortable. sounds like a message to leaders if you ask me.